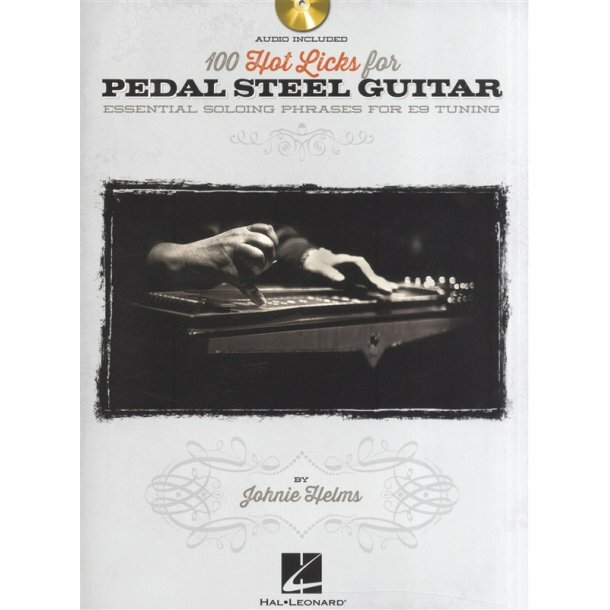 100 Hot Licks For Pedal Steel Guitar is a great addition to any pedal steel Guitar player's arsenal, this special book/CD pack features 100 hot licks for pedal steel Guitar in E9 tuning. The licks range in difficulty from extremely easy to more advanced, and can be applied to any key or musical style ? country, rock, bluegrass, pop, blues and more. The audio CD features a demo of every lick.